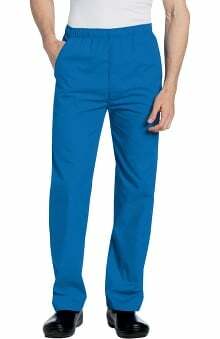 The Landau Men's 5-Pocket Twill 37" Lab Coat is available in two different lengths and three different fabrics. 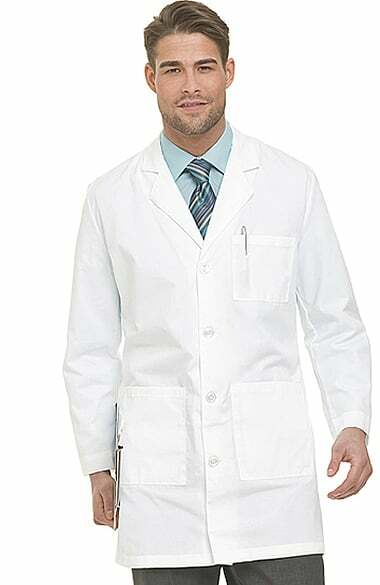 This lab coat features a four-button front closure, three front pockets, two inside pockets, side hand access, and a sewn-down back belt over pleats. Really like the soft twill texture and feel. Sizing was accurate. Quality above average. Monogaming correct size and very readable. 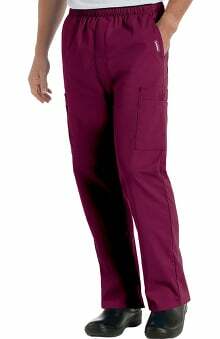 This is the best on-line source I have found for physician lab coats. The coat is well made and the fabric is durable and comfortable. It comes out of the dryer ready to wear. The size was spot on and it fits perfectly. I would definitely reorder thos coat. these ran very small. After monogram was added they can not be returned. Heavy fabric great for a light starch and professional pressing. First time trying this brand for long 5 pocket personalized labcoat. Very good quality. can not comment about durability. Embroidering could have been nicer. More options for embroidering would have been a plus. Relatively heavy duty coat which is good as flaps and collars wont fold over easily. Excellent value. Will purchase again. 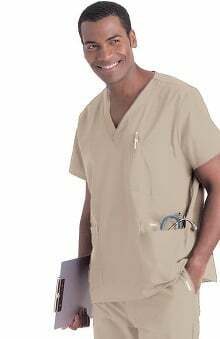 We purchased 3 of these coats for our 3 new doctors joining the practice. The quality was excellent, sturdy and they were well-constructed. In addition, each was monogrammed and those were well done too. We will definitely purchase again as needed. The shipping and monogramming was super fast too! Happy happy!! This is an excellent product. I especially like the weight and durability. I will be back. Very nice lab coat. Material is heavy but gives it more of quality feel. This coat is worn by my physician husband and gives a very professional appearance. Cleans nicely. Well made, substantial material, pleats in back are very fashionable looking, does not wrinkle easily so is very laundry friendly, good fit. This is the first time ordering with you. I am pleased with the quality of the product. Difficult to find information about the coat on the website. Buttons are not cloth, and the back belt is not adjustable. I'm athletically big, hard to fit. This coat is perfect! 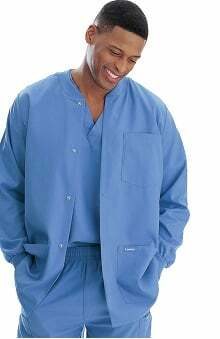 We bought one of these lab coats for our son, when he graduated from high school. Now that he is in his 3rd year of college, he wanted another one. Bought two of them for him for Christmas! He loves the way they fit, the personalization was flawless, quick shipping and great service. Will definitely be back for more lab attire!!!! 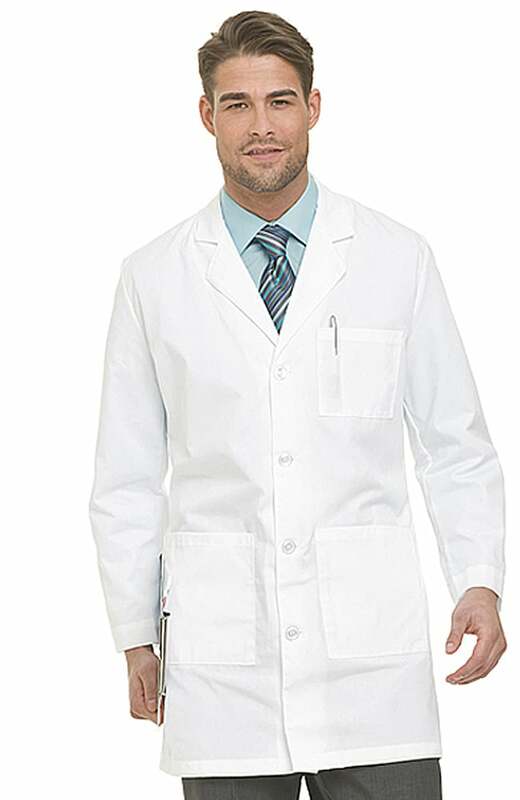 Quality men's lab coat at a great price. Generously sized, resists wrinkling. All pockets securely stitched. Very nice coat for the price. Wears well. Delivery was good n product was in great condition just like it was described on website, im very happy and look forward to shopping in future.